Desmond Drake is an agent with British Intelligence. He is officially attached to the Foreign Office, Special Duties Department, performing highly covert missions while telling his friends in his usual friendly and verbose way that he is on vacation. 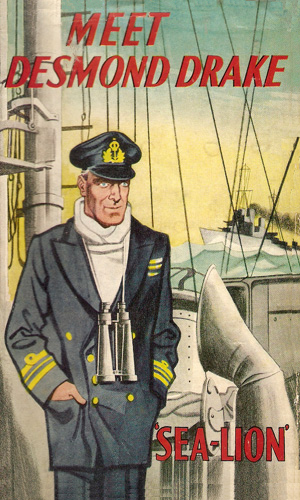 The three-book series recounts the adventures of Drake in the service of the Crown. The first mission took place during the Second World War while Drake was in the Royal Navy, working with the Intelligence division there. To hear Drake describe it, it was six long years of sitting on the seat of his pants waiting for something to happen, with one interesting exception. That exception was the affair detailed in the first book, helping to destroy a German battleship. For his actions, he was awarded the Distinguished Service Cross. The remaining books take place after the War while Drake is with the SDD. He might describe his times away from London and his apartment as vacations but the author states that others would more aptly call it “skullduggery”. Drake might laugh with pleasure at that description but he would probably not argue too strongly. In the first adventure, Drake is depicted as “dark of hair and eye, blue-jowled, broad-shouldered and muscular”. He is also reported to be a tall man with long legs which he is prone to drape over chair arms. Drake seldom sits in a chair, he lounges in it, possessing an air of good-nature amusement at what the world throws at him. He most decidedly enjoys actions and gets terribly bored easily without it. Drake has an arch-nemesis who plagues him in all three adventures, a German agent named Hermann Vogel. This highly capable agent works for the German High Command during WWII and becomes an East German operative after the war. He has considerable respect and hatred for Drake, a combination of feelings definitely returned. Taking place in 1939, a German warship, the Baden, lies in wait in a neutral port, disrupting shipping for fear it might attack. The Admiralty calls upon Desmond Drake to take care of the problem. Taking place in 1946, a British ship departed the German port of Hamburg carrying a secret cargo of nerve gas once belonging to the Nazis. 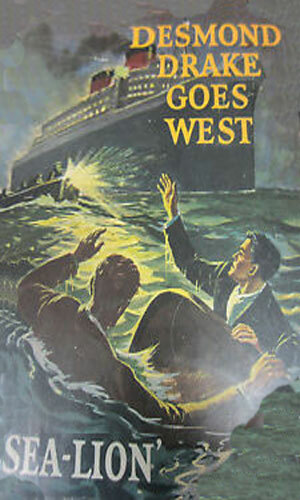 The ship disappears and Desmond Drake is ordered to find it and its cargo. The US President has secret information for Britain, contained on a roll of microfilm. Knowing that foreign powers would do anything to get their hands on it, the job of couriering it to London falls to Desmond Drake. 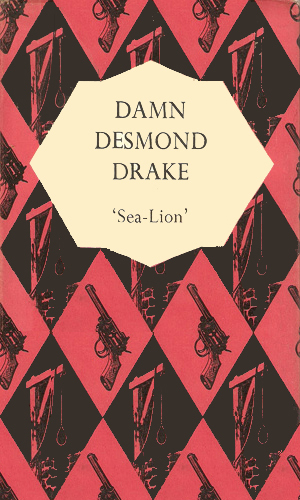 There is a wonderful amount of playfulness in Desmond Drake, enough that a reader might easily mistake the dashing, resourceful, adventurous agent for the rogue Simon Templar, aka the Saint. He throws himself into the fray with wild abandon, or so it seems, but he has usually done his best to make sure he comes out alive at the other end. The author has fun poking the upper class elitism of Colonial England. Drake gets along with the powers that rule but does not take them too seriously. Since he also does not take himself that seriously, though, little offense is drawn. These books are good binoculars into the past and should be enjoyed as such. The action that exists is fast and furious but there are always considerable talking and drinking and smoking of packs and packs of cigarettes between each bout of flurry.